Many years ago when I was a student, I always wondered how the busy professionals deal with their dinner. I know the easiest way is to have dinner in restaurants, but if people want healthy home-made delicious food, what would they do to cope between your personal life and the job. Fortunately, I have my wife at home cooking for me and dinner is always ready when I get home. What about if you don’t have time to do grocery shopping? Now, I found a solution/cure! 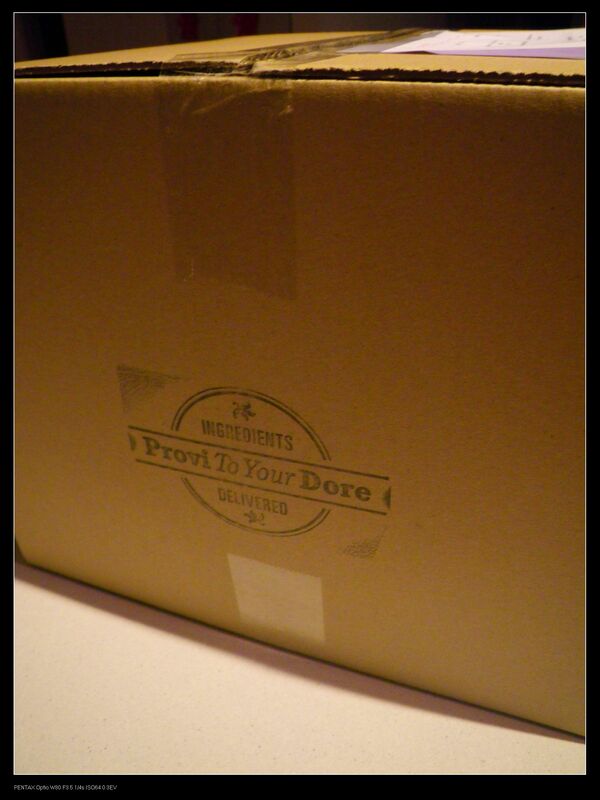 Two weeks ago, I came across this company named “Provi to your Dore“, a newly founded company based in Adelaide Hills. 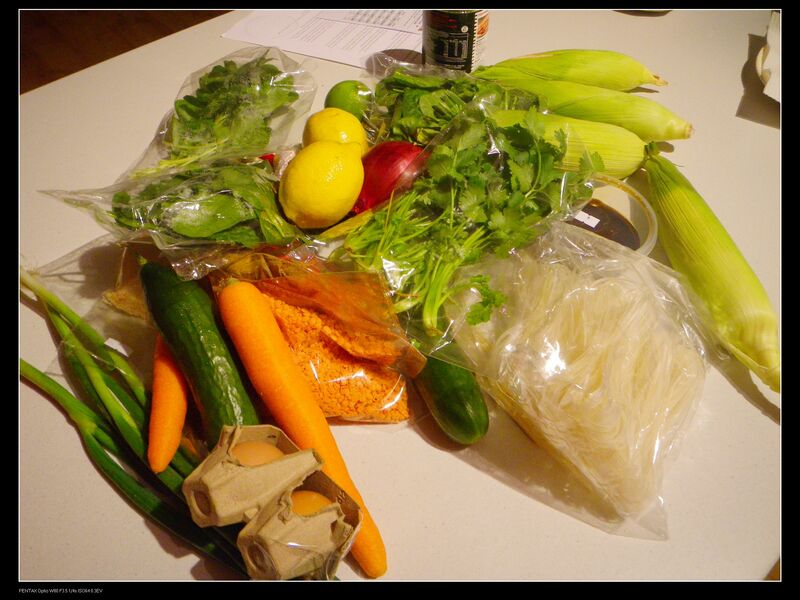 The company aims to deliver super fresh ingredients of dishes directly to the customer’s door. On their website, every week they provides 7 different recipes on the menu and consumers can pick three and order follow their easy to use instructions. Also, the service delivers on Tuesdays every week and there is no lock in contract for customers. I decided to give the service a shot and see how it goes. 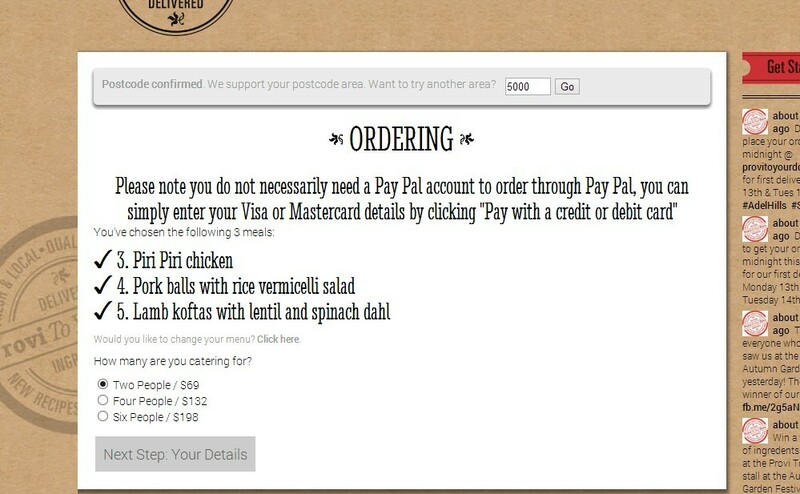 The ordering process is pretty straight forward. All the customers had to do is to pick three meals, followed by choosing how many people the meal is for and filling in details to pay. 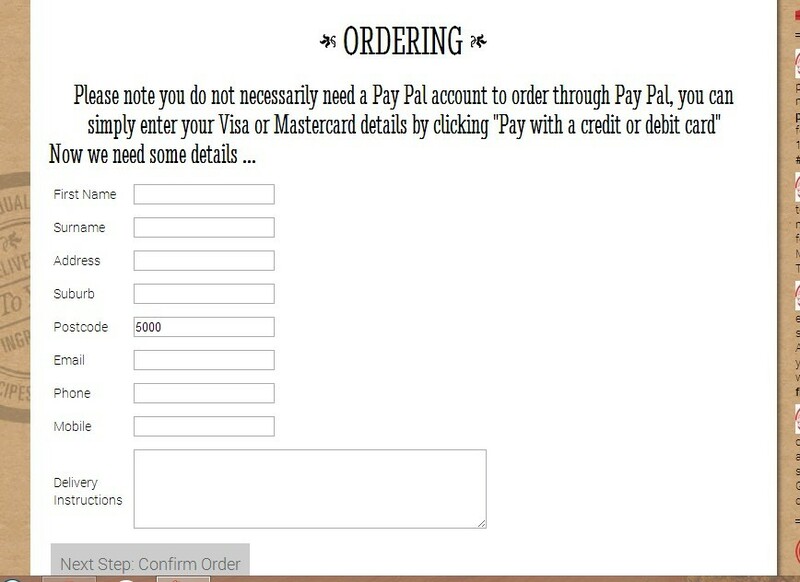 However, the website only accepts paypal for payment, but customers can enter their credit card details directly if they don’t have paypal accounts. The prices for the meals were reasonable too, as with 4 people for three recipes, it only cost $132. So after ordering, I had something to expect for. On Tuesday afternoon, a nice lady delivered my stuffs. Now let me make this clear, this company delivers fresh ingredients only, not partially processed meals. It was a huge box that I received and because some companies have send me already made meals before, I originally thought I may get some ingredients with partially made meal packs. However, after I opened the box, I was fully surprised and amazed! The box was full of ingredients required for making the dishes. Oh, guys, you name them! From free range eggs to fresh vegetables, from spices to diary products, everything required were included. 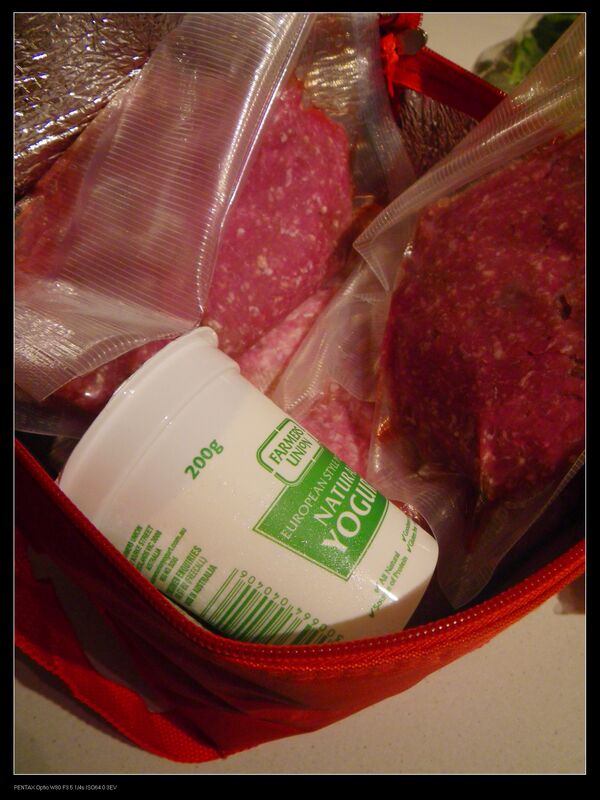 The recipes were on the top of these ingredients and there was also a red cooler bag of meat and yogurt, which was essential for the lamb kofta dish. More importantly, all these ingredients were extremely fresh as I can even smell the great aromas from some of them. I tested the freshness of the eggs and the result was satisfactory because they sinked straight down to the bottom of a bowl. As you can probably see from the previous picture, I ordered three meals for four people. Due to copyright issues, I will not put the actual recipe or detailed pictures of the cooking process up. Instead, I’ll publish the end result. Let me say this in advance, you will not regret from ordering from this company as the end result for any of the dishes were fantastic and tantalising with restaurant qualities. What’s shown in the photo is one plate of the dishes and I made four plates with the ingredients provided. However, I did do some alterations to the recipe provided as I added extra fish sauce and sweet chilli sauce. This is because the fish sauce and soy sauce on their own were a bit odd and the sweet chilli sauce acted as a medium to get all the sauces to mix up well. Anyway, the dish was very very tasty! 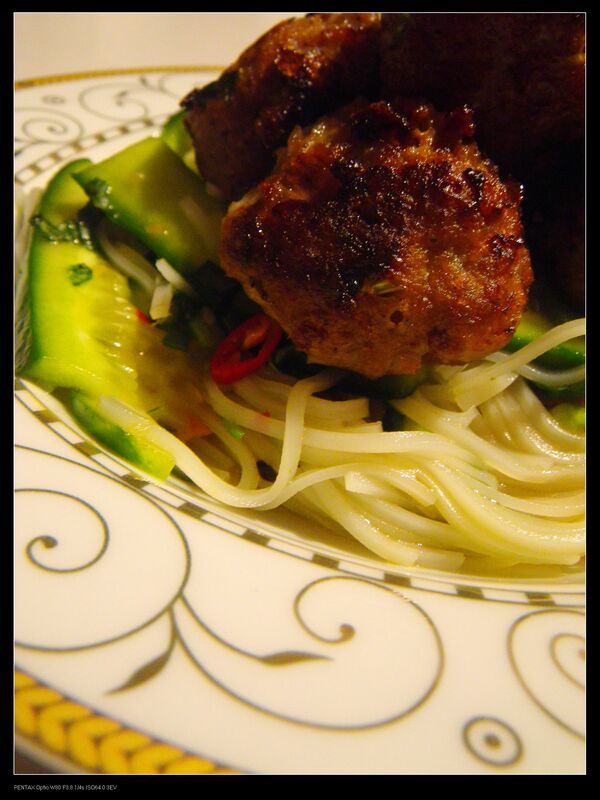 The meatballs were made with pork mince, finely chopped onion and bread crumbs. The addition of onion and bread crumbs did not only add the extra flavours but also introduced extra tenderness to the balls. All I had to do is to follow the recipe exactly and use my food and cooking knowledge when cook the dish. After pan frying the balls, the end result was fabulous. 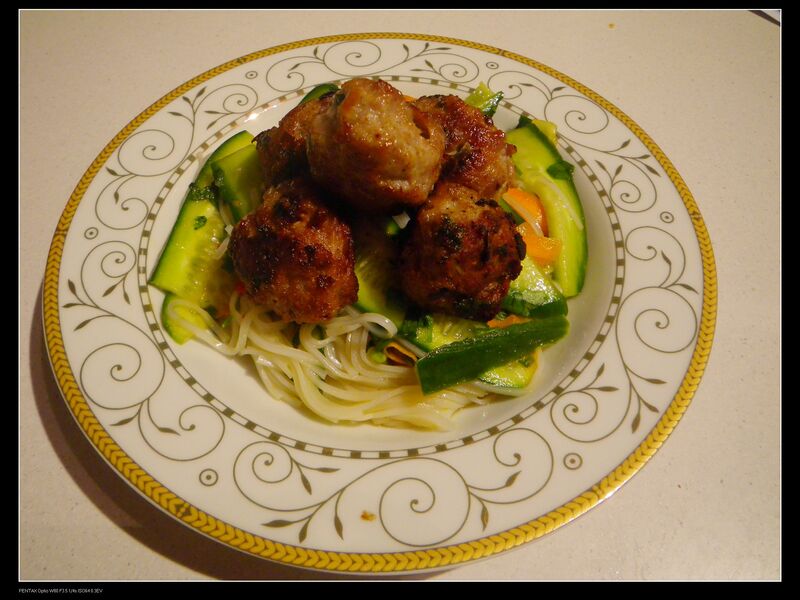 The balls were very juicy and tender with a slight flavour of spiciness from the onions. The meat flavour was fresh and tasty and the mouthfeel of the balls was not too meaty as the bread crumbs also implemented some extra softness to the balls. I think the pork was minced multi times as they were so smooth with fine textures. Beautiful creation and a good recipe! The salad added a bonus credit to the dish. 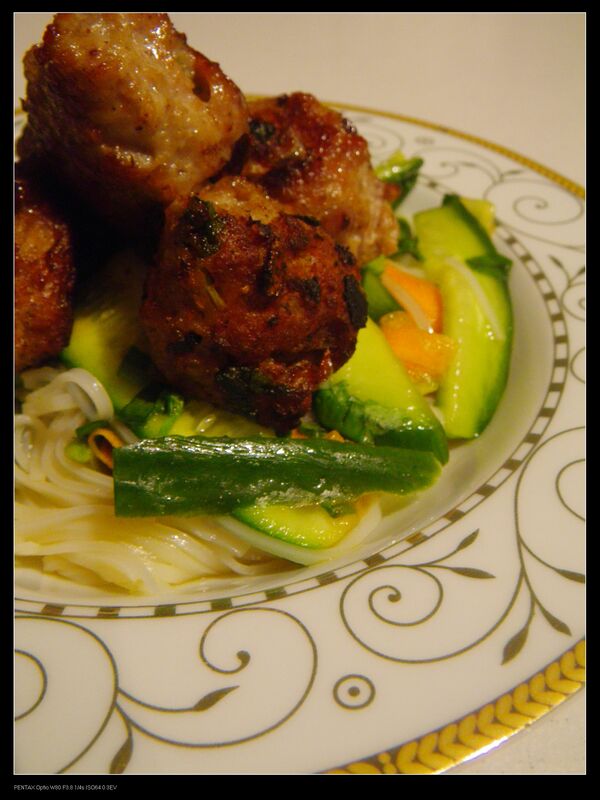 The rice vermicelli is a typical southeast asian ingredients and once cooked and cooled, it has extra smoothness. The taste of the salad was great as all flavours were well balanced and my addition of sweet chilli sauce has brought the dish to a newer level. The freshness from the vegetables can be easily experienced and the juices from the ingredients complemented the balls very well! 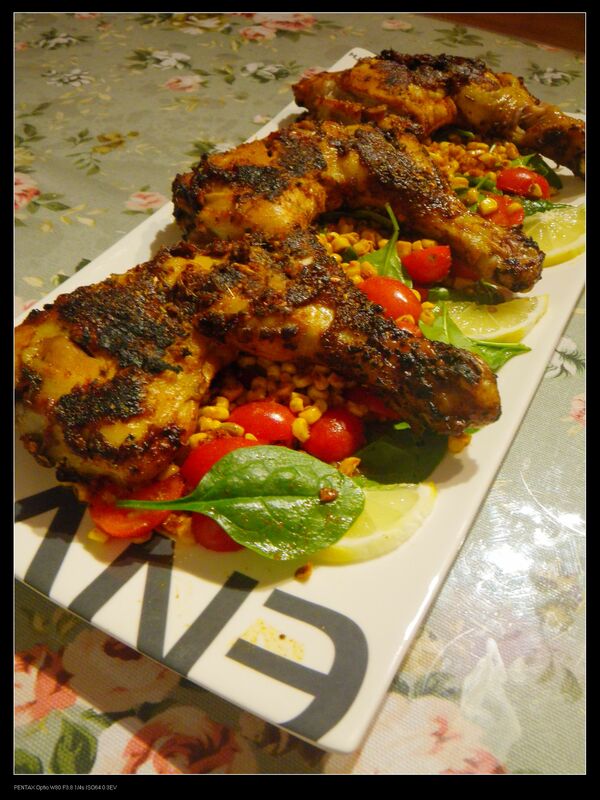 For this dish, I followed the recipe, but marinated the chicken in the piri piri sauce for 5 hours in the fridge before cooking. The final result was a restaurant quality dish as the ingredients were so fresh and the recipe was so easy to follow. 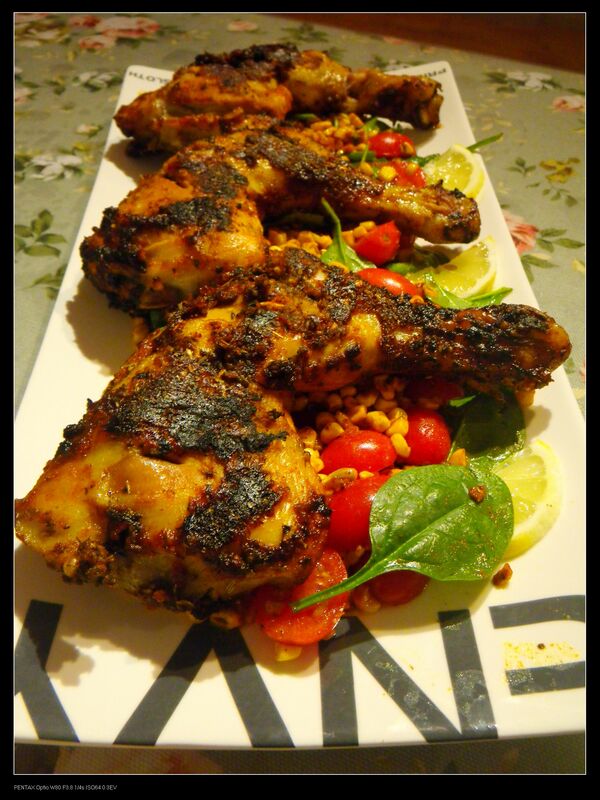 Piri piri chicken is a classic Portuguese dish recognised worldwide and the most difficult part is to make the piri piri sauce. 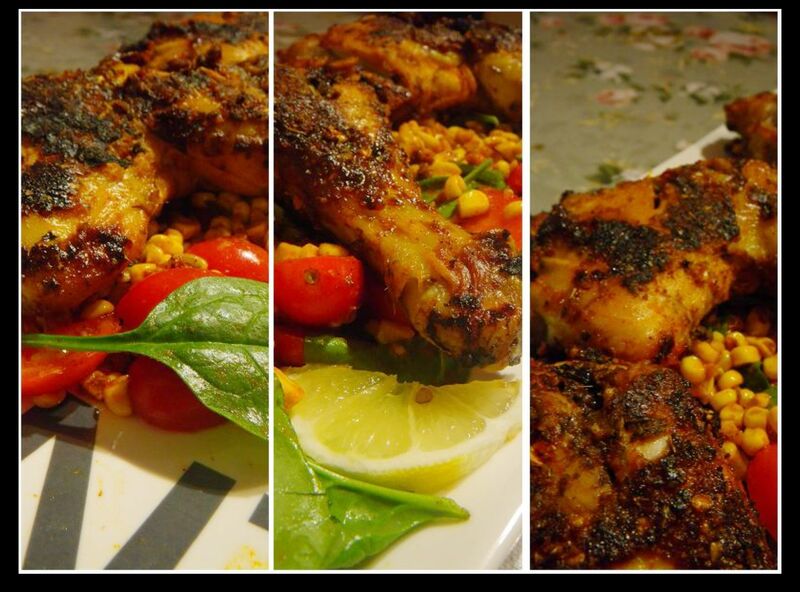 However, with the delivery, the piri piri powders were included and all I needed to do was to follow the recipe to mix it with some of the ingredients. The chicken was cold marinated in fridge for five hours and all the spiciness of the piri piri sauce has diffused fully into the meat. After roasting in the oven, the chicken meat was full of moisture and the flavour was something worth all the hours of marinating. The spiciness, hot chilli and slight sourness were everywhere in the meat, from the skin to the bone. The lemon juices tenderised the meat too and made it perfect for a family dinner. As I said previously, because of the freshness of the ingredients, the salad was always something to expect in these dishes. After being stir fried with smoky paprika powders, the corns were super tasty with both sweet and slightly chilli flavour. The cherry tomato was so fragrant in the dish and added extra complexity to the salad as well as freshness after having a bite of the chicken. The baby spinach also introduced some crisp and delicate mouthfeel to the dish. The most important thing was that the salad was a good accompany to the meat and made the dish being super delish! 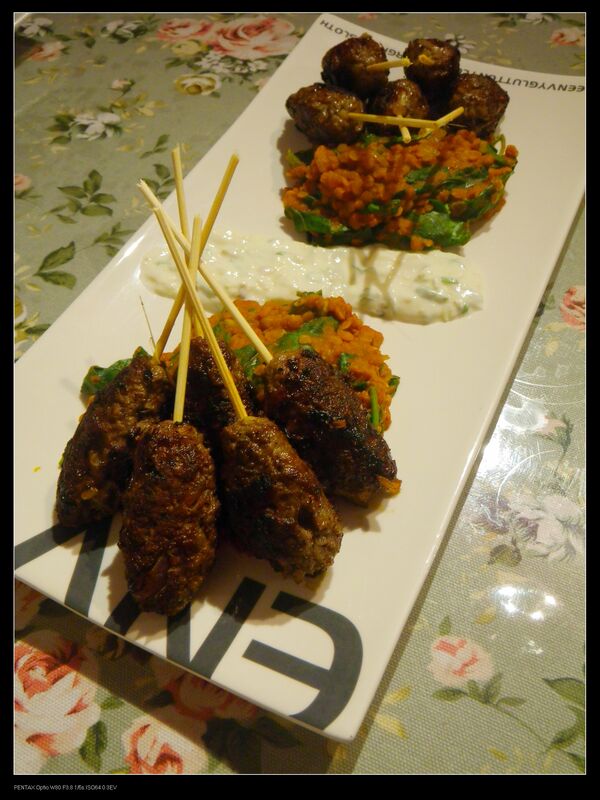 For the lamb koftas, I followed the exact procedure in the recipe without any alterations and the turnout was a moreish dish too. 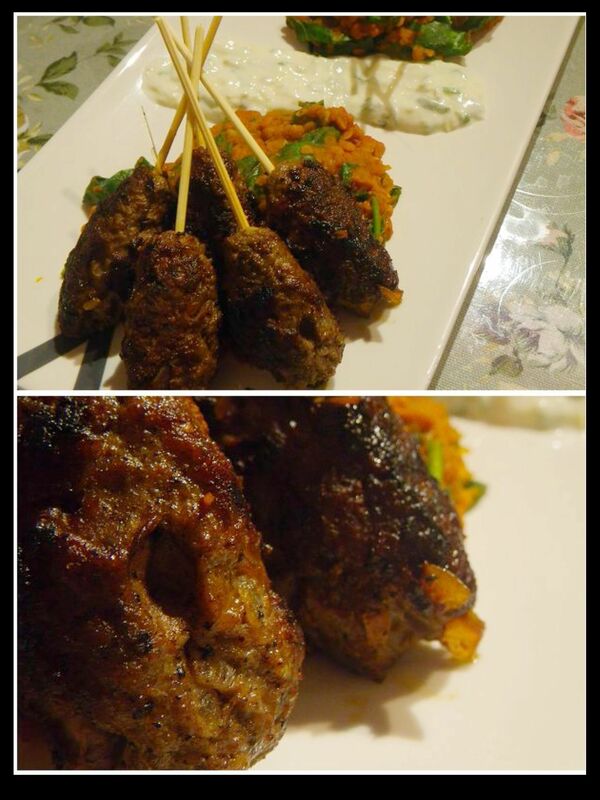 The lamb koftas were made using provided mince, finely chopped onion and spices. The meat was very tasty and fresh with a strong good meaty flavour. The mouthfeel of the meat was condensed and tender and on the nose, the dish smelt great with the spiciness, which also made the meat flavourful. The lentil was cooked with the masala powder and the spinach was stirred in once the lentils were cooked. It’s may be because of my overcooking to avoid the uncooked lentils, the side was a bit too dry. However, in terms of flavour, the side was a good complement to the lamb. 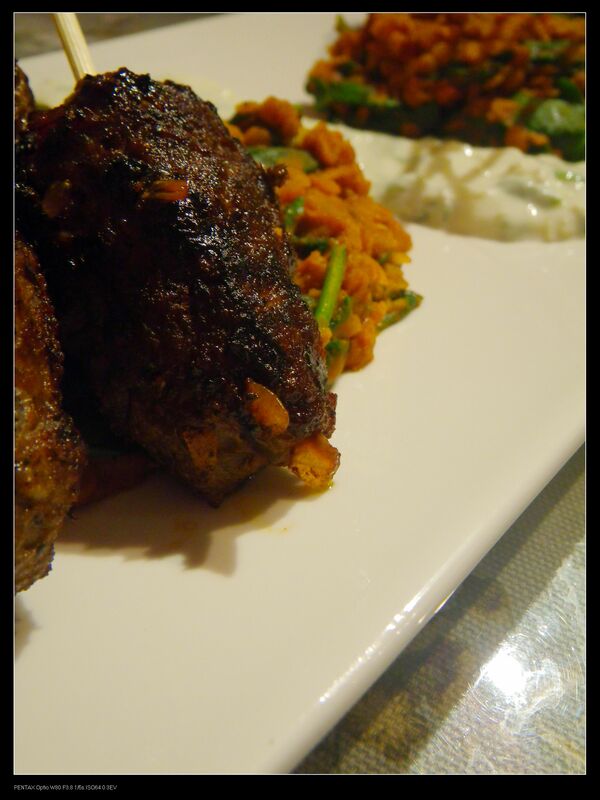 In fact, I liked the addition of mint leaves to the yogurt which brought the dish to a completely new level. Well done! 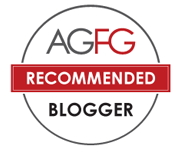 From my review, it is obvious that I loved the recipes provided by the company. They are so easy to follow and can turn some ordinary ingredients to something worth hundreds of bucks. The ingredients were fresh and enough for every single recipe with no waste at all. 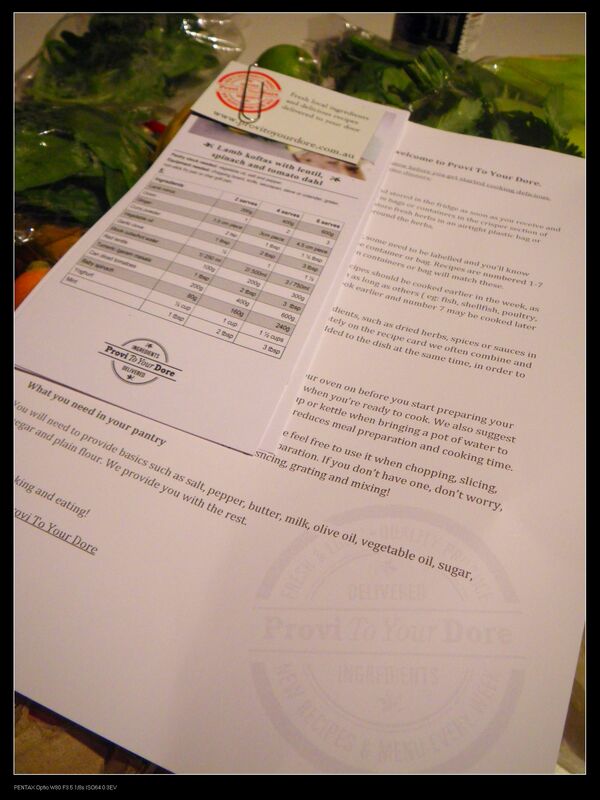 I would strongly recommend my readers to try the products and services of “Provi to your Dore” and experience the new convenient and fresh way of cooking that you never experienced before! Highly recommended! Hi Fred, we are not currently delivering to Blackwood,however we are hoping to expand our delivery zone in the next couple of months so check back on our website http://www.provitoyourdore.com.au or follow us on Facebook (/ProviToYourDore) or Twitter (@ProvToYourDore) to find out when we do. Wow, it’s really not a good idea to read this post and look at the beautiful pics at this time of the day! The food looks yummo! I saw them at the stirling garden fest previously. Great reviews! So this is pretty much a home shopping service? You have to cook the meals, you don’t get them pre-made? I’m a busy professional and the whole idea of buying food to your door is to take the hassle of cooking it. It is sort of a home shopping experience. I finish teaching around 6pm and after getting home about 7pm, I know I wouldn’t want to cook again. 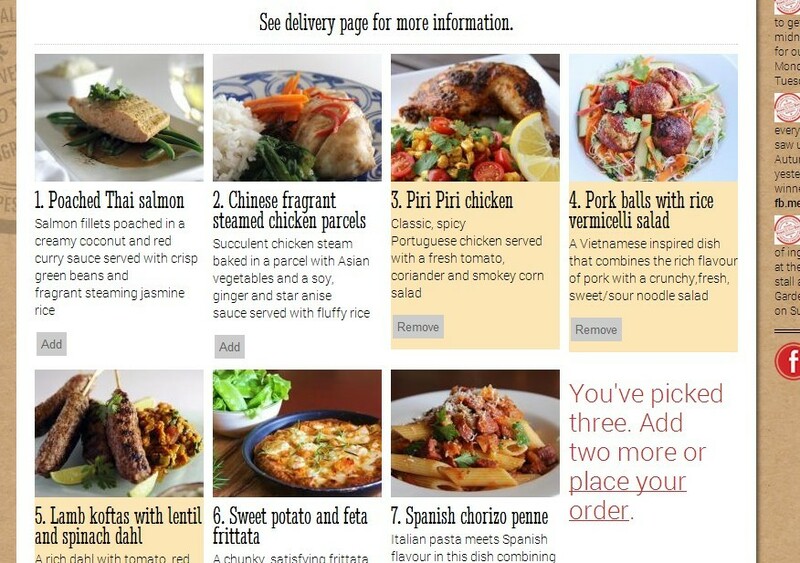 There is a company called “easymeals”, which offers premade dinner packs and I tried some of their dishes before. Not super special but tasty enough for ordinary dinner. Hope you enjoy!